The director continued… “We’re seeing tremendous success with the power chargers for the Nintendo Switch, as well as people coming in and picking up extra Joy-Con so people can turn it into a four-player device. We will soon be going online with all-new bundles. Because of the popularity of Zelda, which is one of my top picks, we’re putting together a Zelda bundle of hardware and accessories for customers to pick up online. The Nintendo Wii U is barely four weeks old since its launch in South America, in the first the Wii sold out over 600,000 in the first 8 days on the console market. In Japan, the switch sold over 330,000 units in three days, while the in the UK , it was reported to be sold over 80,000 units same goes for France which sold for 105,000 units, making it the best selling console of all time . As for the Wii, in Japan it was recorded to have sold over 636,000 units in the first month. In 2014, when the Nintendo recorded the largest financial losses in its modern history, which was attributed to a weak hardware sales against mobile gaming. The switch new design is aimed at a wider demographic of video game players through the multiple mode of use, while retailing Nintendo’s hardware uniqueness and innovation. The console is estimated to have shipped over 1.5 million units in the first two weeks of its launch, with Nintendo stating its fastest-selling home console in its history, withstrong sales in North America. 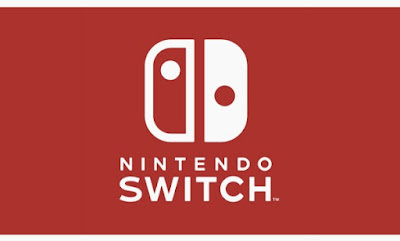 Nintendo switch games has been making the news of recent, ranging from the integration and the upgrading that follows suit to the release of "The making of Zelda: Breath of the wild" of super mario to Android version and the their of series of activity going on in the in company.